2. 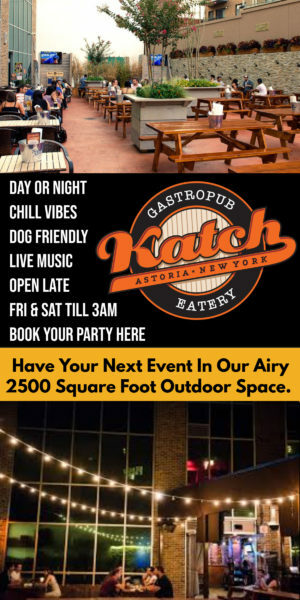 If you get to 5 or more stores you will be entered to win a grand prize worth $450 and if you get to 8 or more stores you get a swag bag filled with tons of goodies and coupons from all participating stores as well as bars and restaurants around Astoria. 3. Drop off your completed passport at The Brass Owl, Château Le Woof, The Geekery, Lavender Label, or Lockwood (original) by 11/26. This multidisciplinary artist space offers all kinds of art and craft classes including sewing, ceramics, and printmaking, as well as classes for kids. And there are always exhibits and events to check out. 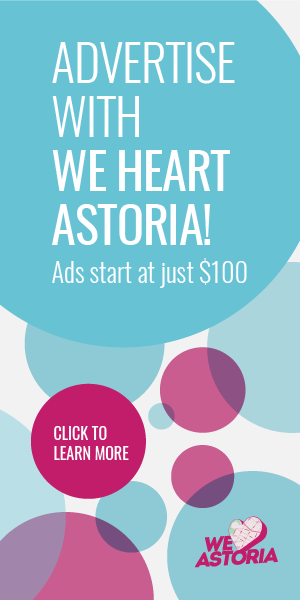 For Shop Small Astoria, there will be a pop-up shop in the studio. The neighborhood’s favorite independent bookshop is also participating this year, with a wide selection of fiction and nonfiction books for all ages, and on all kinds of subjects. If you have bookworms to shop for (or are hoping to encourage bookwormliness), there’s sure to be something that will catch the attention of everyone on your list. Belief is a skate shop and clothing retailer offering a variety of styles that embody the “New York hustle” with bright, inventive graphics, bold colors, and clean, modern lines. 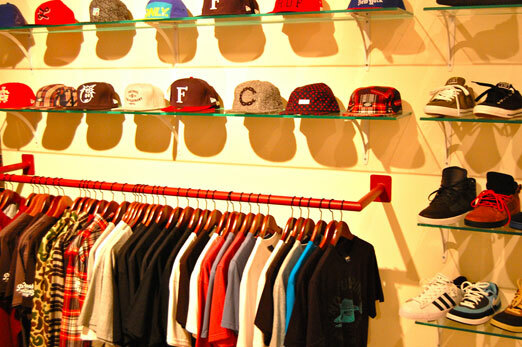 Choose from tees, hoodies, shoes, skate decks, and more. The Brass Owl‘s eclectic mix of clothing, jewelry, accessories, and shoes makes it a perfect place to find just the right gift for someone who likes things as unique as they are. You’ll find items created by New York-based designers and artists, and even some things you won’t be able to find anywhere else! Yelp Photo via Isabella D.
The Broadway Silk Store has surprised us in past years with its unexpected jewelry collection, and this year, you can check that out for yourself during Shop Small Astoria. It’s also a fabric and sewing supply store, so if you’re crafty and planning on making your gifts this year, you should check out its sewing goodies, too. Have furry friends to shop for (via their humans, of course)? Château le Woof has all the toys, treats, and clothes for dogs of all sizes, and there’s also a cafe for humans, too, so you can warm up with a coffee beverage or other human-appropriate treat. And yes, there are treats for doggos available in the cafe, too. Disco Paws also has plenty of great pet supplies and treats, and they also offer all kinds of grooming services to make pups (and cats!) look and feel their best. Browse their selection of toys, clothes, accessories, and treats, and more. 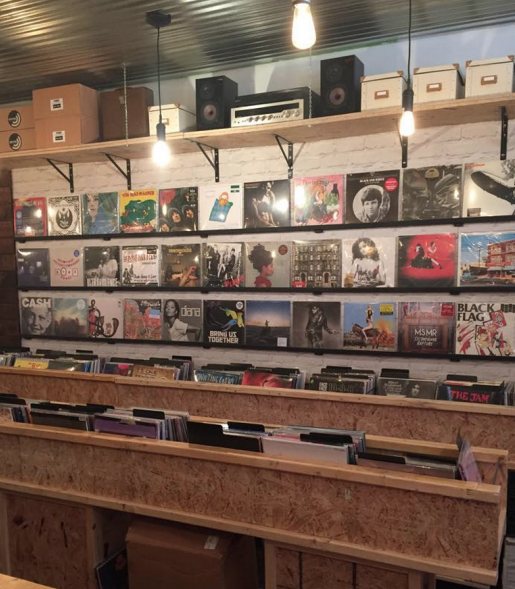 HiFi Records has everything a vinylphile could want in terms of both music and equipment. They offer all kinds of music genres, so there’s something for everyone, as well as speakers, players, and more. And you can even get a cup of coffee while you browse. Inside Astoria has been a staple for gifts for over 10 years, with an emphasis on items for babies and kids. It’s a great place if you want something a little more interesting than your run-of-the-mill plastic stuff. Lavender Label, home of The Little Soap Shop, specializes in handcrafted, handmade soaps and candles, as well as kids’ fashions and accessories, jewelry, and more, so there’s something for everyone on your list. Lockwood Shop is a lifestyle and gift boutique, and the original of the trio of Lockwood stores. Find candles, soaps, ornaments and more. If you need a gift, they probably have it. You can also check out Lockwood Paper for any and all greeting cards and paper goods and Lockwood Style for clothing and accessories. LoveDay 31 is a great place for cool vintage finds, perfect for someone with a funky sense of style and an appreciation for fashions of the past. Maybe you can pick up something for a holiday party here, too. Petals & Roots is a great place to find floral arrangements if you’re throwing a holiday party or just looking to brighten a room on a dreary winter’s day. 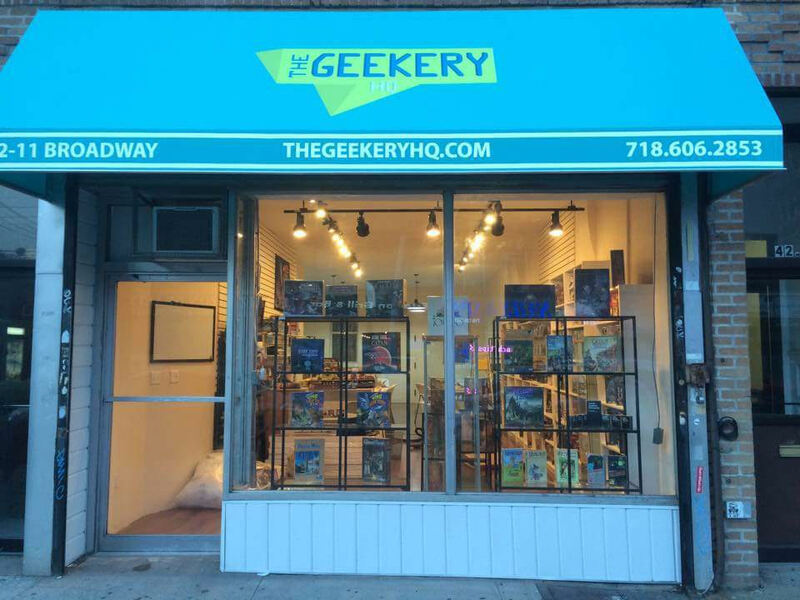 QED will be hosting a holiday craft market this weekend as part of Shop Small Astoria, featuring handmade and unique crafts by local artists, crafters, and makers. There will be gifts and items of all kinds, so grab a ticket while you can. 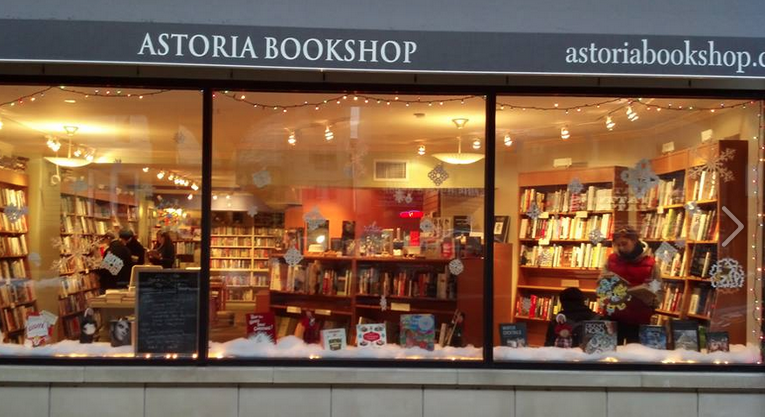 Though closing in January, The Stonework will still be participating in Shop Small Astoria this year. 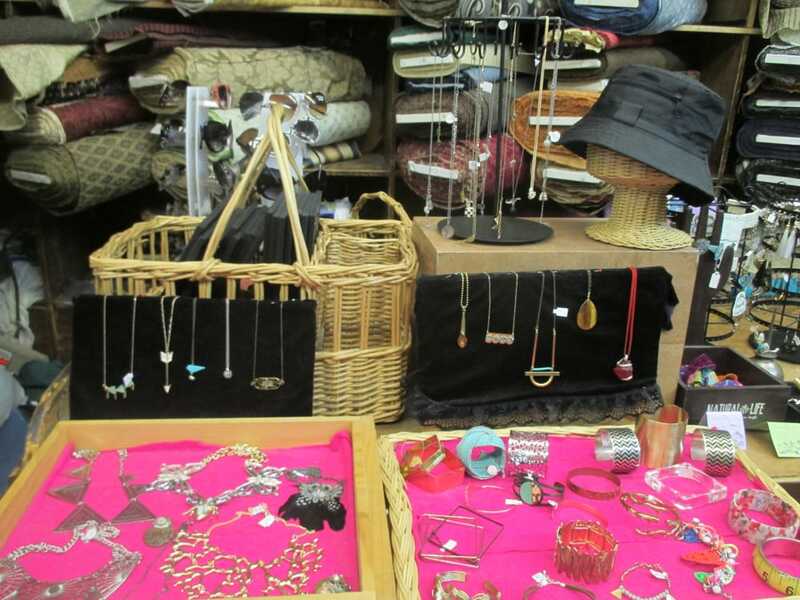 Here, you’ll find curated antiques and vintage fashion as well as accessories and more. Stop by to pick up something hip and unexpected. Happy shopping this weekend! Come out and support these great local businesses, and we’ll see you there!